With over 50 years experience, we are known in our community for providing exceptional service and standing behind our work with our 2 year, 24k mile warranty. Over the years, we’ve gained a reputation for providing high quality, fast, and friendly service our customers have come to expect. Being a family run business we understand that providing top value to our customers and having the latest state of the art tools and equipment allow us to service all makes and models. Our work carries a warranty that covers 24 months or 24,000 miles, whichever comes first on parts and labor from the date your service is complete. 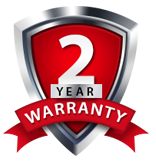 We provide this warranty to earn your trust in our work and to show that we only use top quality parts for all repairs. We invest in making sure that all services and repairs are done correctly the first time. Chris and Michelle are dedicated to serving Bel Air and surrounding areas. Providing services that range from general auto repair to highly specialized services such as transmission rebuilds, service, and repair. If you are looking for honest and reliable Bel Air Auto Repair, our team of mechanics are here to help! Here are links to some of our most popular auto services: Mechanic, Brake Service, Factory Scheduled Maintenance. Give us a call for all of your auto servicing and preventative maintenance needs. So if you are looking for Auto Repair in Bel Air, MD, call us today to learn more about how we can help you. We’ve been in business since 2001 and have more than 50 years of combined experience in diagnosing and fixing transmission problems. "My 05 Dodge 3500 4x4 trans went back in May 2016. And I called around and went to a couple place to compare prices. Harford County Trans beat them by a lot. Plus was able to drop it off over quickly and have it back by the end of the week. And it was night and day difference in how the trans made the truck move. The power from just having the trans rebuild like better then new Truck. I had them do a shift kit and a low stall converter with. I had a few issues with it shifting at first but they were able to adjust and my truck work and run great. My truck is a daily driver and work truck, and normally weighs about 9,000 Lbs rolling. And I'm getting 19.5 mpg driving 75 to 80 on the hwy up in the mountains of PA."
"Best experience I have ever had at an auto shop. The staff were professional, knowledgeable and helpful. They even accommodated my work schedule and stayed late. Can't ask for better service than Harford County Transmission." "Stopped to have M/T trans. fluid changed and have tires rotated. Fluid was changed, and tires rotated. They gave me a price on brakes and let me know they're still good but I'll need to replace them soon. It was a fair price, so I'll be back for the brake service. Overall a pleasant experience from beginning to end. Thanks guys!" We offer fleet repair services to commercial businesses throughout Harford County, Cecil County and southern PA. 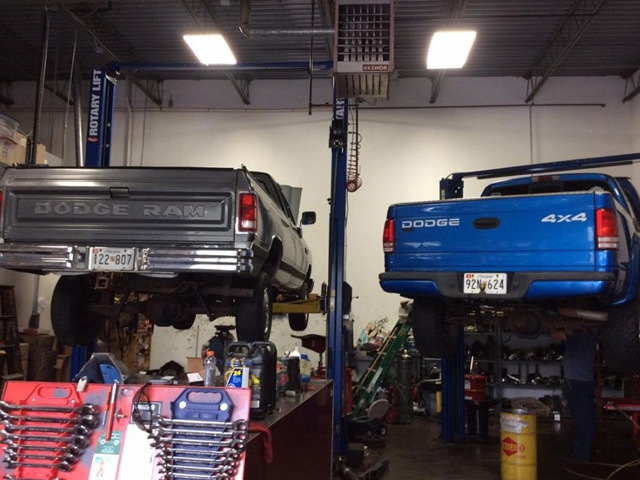 Even though our specialty is transmissions, we perform a variety of other auto repair and truck repair services. A used car inspection is a good thing to consider if you are thinking about buying a used car or truck. We proudly serve Harford County and the surrounding areas.